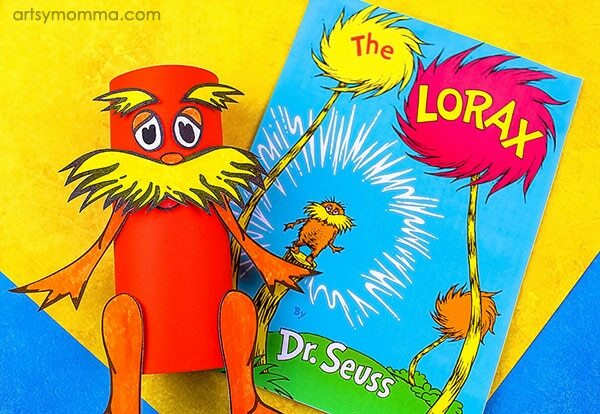 The Lorax is a popular Dr. Seuss book character we love to share every year because of the important message the character teaches us. 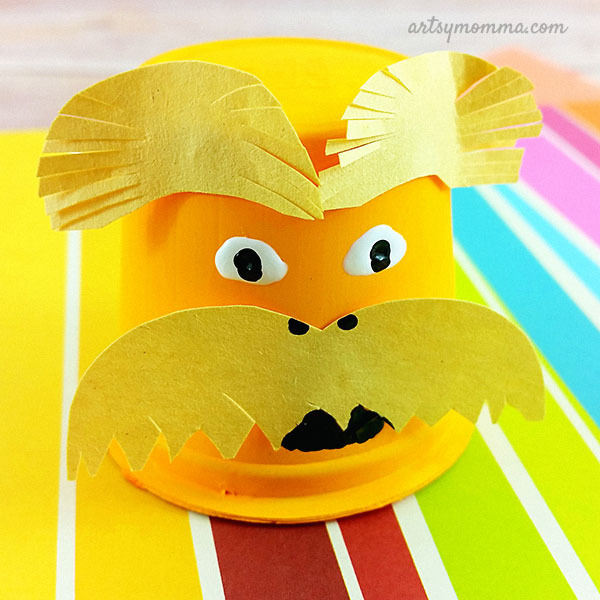 In the past, we have made a recycled k cup Lorax craft as well as a colorful handprint Lorax with tissue paper truffula trees. 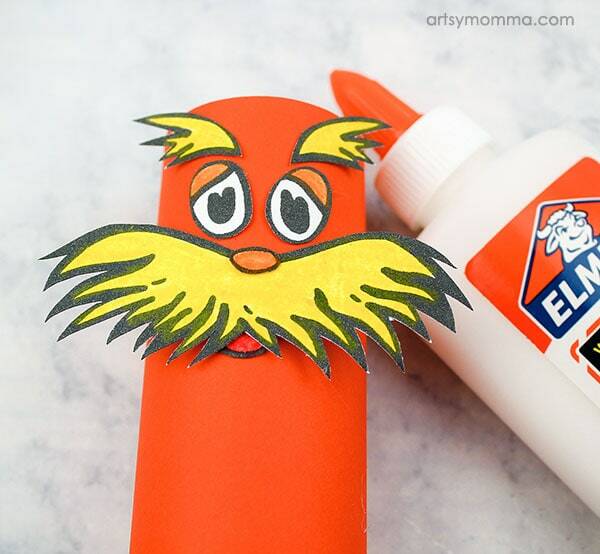 Today’s post is a tutorial for creating a recycled cardboard tube Lorax craft. 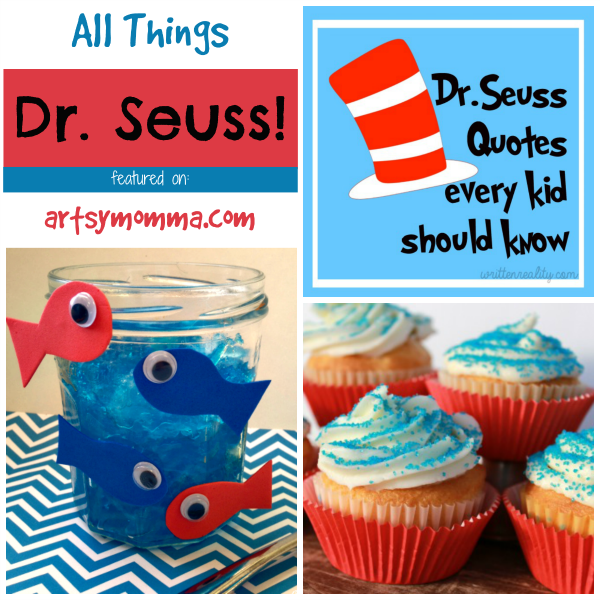 It’s great to make as a playful book extension or as part of an Earth Day lesson plan. 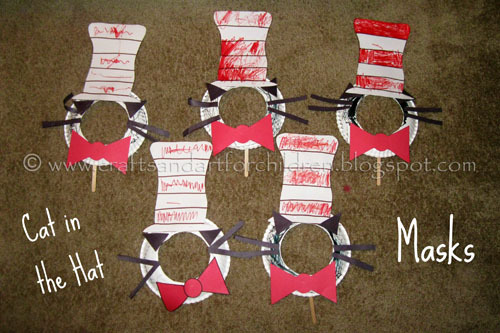 My kids also enjoyed the movie version of The Lorax. It’s fun, colorful and has catchy songs. 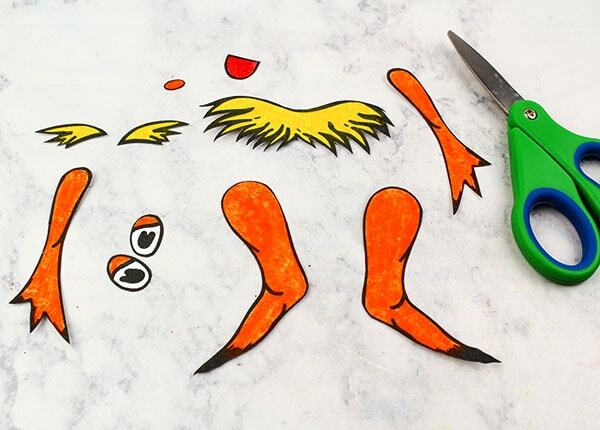 Print the Lorax template onto white cardstock. 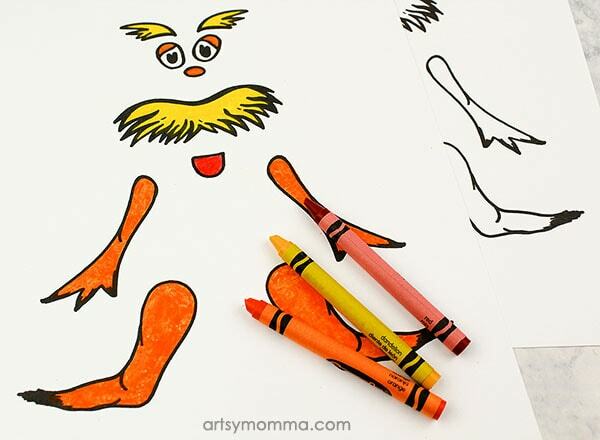 Have the kids color the template with orange and yellow markers or crayons. Cut around the black outlines. Next, place the cardboard tube on top of the orange cardstock. Make a few pencil marks to show the length of the tube. 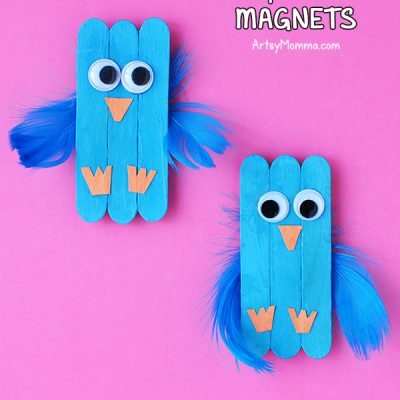 Cut a piece using the pencil marks that is large enough to wrap around the cardboard tube. Glue in place. 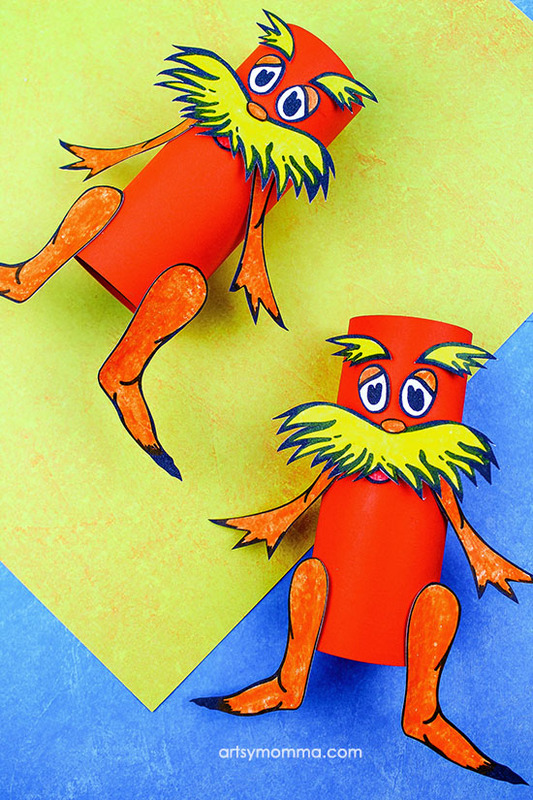 Now the cardboard tube Lorax craft is ready to be played with! 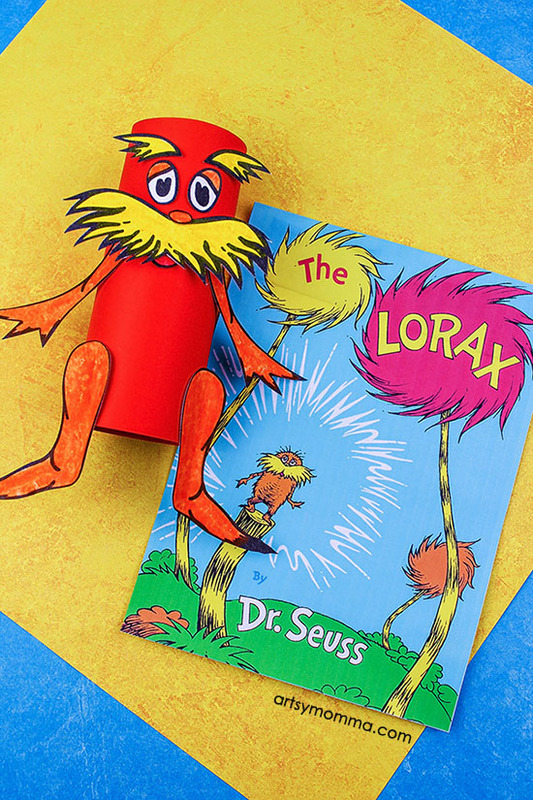 Teach kids the importance of our trees and why the Lorax speaks for the trees. 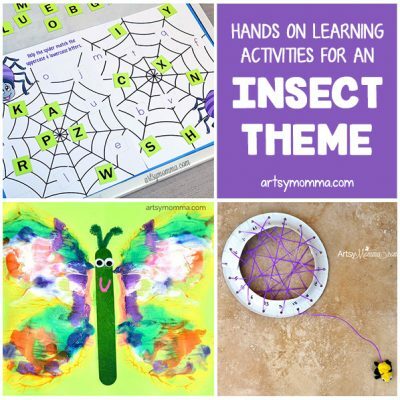 Ask them about the different ways they could reuse items. 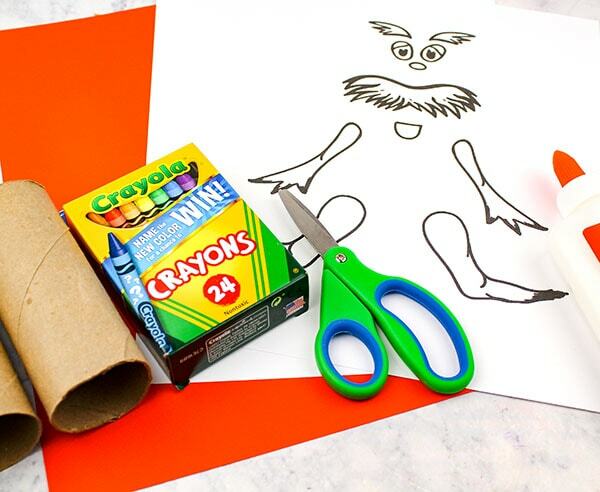 Then use this recycled TP tube Lorax craft to retell the story or for them to put on a puppet show about what they learned.